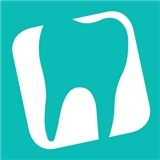 JS Family Dental (McKinney) - Book Appointment Online! We proudly provide family, cosmetic, and restorative dentistry services to McKinney, Frisco, Allen and the surrounding North Dallas Suburbs. With a patient-centered approach, Dr. Jamie Sieng, strives to deliver high quality dentistry complemented by excellent customer care for a comfortable and pleasant dental experience. This brand new office features the latest technology featuring digital xrays, TV's for viewing during treatment, gentle massage dental chairs, iPad patient forms, and more. She is known to be a gentle dentist, delivering personal care and expert advice. Find us on Eldorado Parkway between Custer and Alma in Mckinney TX! Great visit. Nice staff, comfy chair, and very personable dentist. Would recommend.